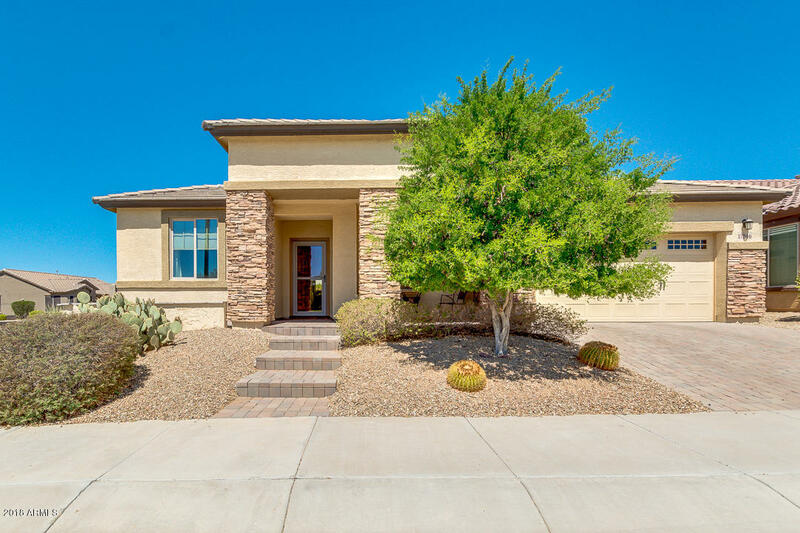 All Province at Estrella Mout homes currently listed for sale in Goodyear as of 04/26/2019 are shown below. You can change the search criteria at any time by pressing the 'Change Search' button below. "**Price Reduced! ** This fabulous corner lot home w/OWNED SOLAR & grandfathered rights to Estrella's amenities has it all!! Facade w/stone accents & cozy front porch overlooking open green space - perfect for socializing w/neighbors! Open floor plan ideal for entertaining w/neutral paint thruout & lots of natural light. Chef's kitchen w/large central island/breakfast bar, light maple cabinetry w/up & under lighting, pantry, SS appliances, tile backsplash & granite countertops. Spacious master sui"